Similar symptoms in 3 cats – can you determine the diagnoses? Test Results: Emma had dilute urine and a mild increase in one of her kidney values called blood urea nitrogen (BUN). Outcome: Emma is doing much better and she is no longer urinating outside the litter box. Emma will likely need to stay on the prescription kidney diet for the rest of her life. Test Results: Rocco’s blood glucose was elevated and there was a large amount of glucose in his urine. Outcome: Rocco was rechecked about a week later and the blood glucose was still too high. An oral diabetes drug called glipizide was added to the treatment regimen. 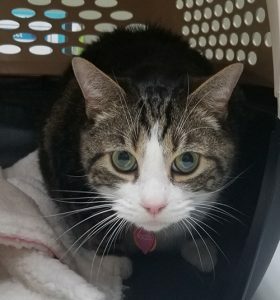 As Rocco came back in for rechecks, it was evident that the glipizide and diabetic diet would not be enough to control the diabetes. The glipizide was discontinued and Rocco was started on insulin. Rocco will be rechecked soon! Outcome: Emmett’s symptoms progressed to where he developed urethral obstructions from the struvite crystals. He had to be sedated twice so that the obstructions could be flushed and removed. 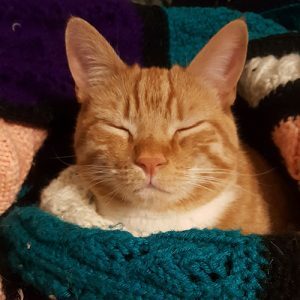 Emmett was placed on additional medications to help relax the urethral sphincter muscle and reduce inflammation and discomfort in the bladder. As time has passed, Emmett is doing better! Thinking back to the original reason all three cats came to the vet for an examination, their urination habits had changed. While inappropriate urination can certainly be a behavioral issue, underlying medical issues can also cause changes in bathroom habits. It’s always important to rule out medical problems when an animal develops abnormal symptoms or has a change in their normal routine or behavior. 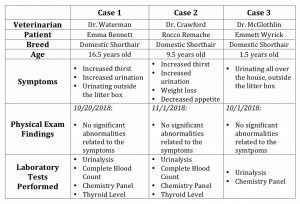 As you can also see from all three of these cases, the lab testing gave us important clues about the cats’ conditions. The lab testing actually helped lead us to three completely different diagnoses! 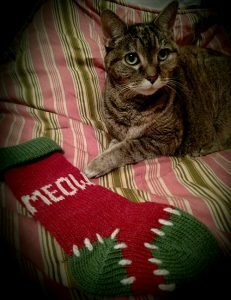 As kitties reach their adult to senior years, it’s a good idea to consider having baseline wellness lab work performed annually, even if the pet seems completely fine at home. Talk to us today if your cat is having abnormal symptoms or needs their wellness care updated!